Christian Fleetwood is a young up-and-comer with a passion for grassroots football. As a youngster, he had the aspiration of becoming a professional footballer, but turned himself instead to Journalism and coaching at grassroots level. He hopes his passion for reporting will allow him to tell small yet significant stories from unfamiliar places. To him, it's the story behind-the-scenes, not the result on the weekend, that's the most interesting part of football. 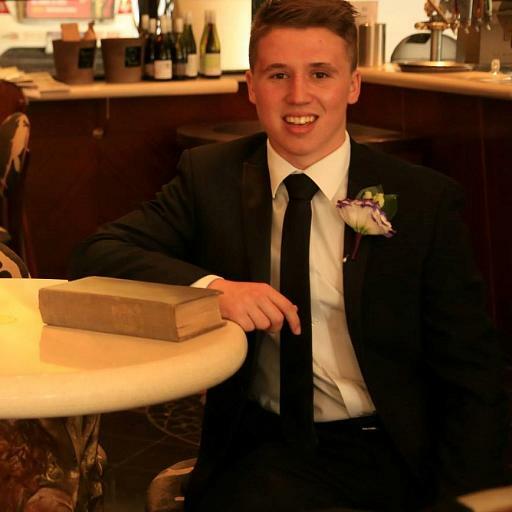 After graduating with a double-degree in Journalism and Professional Writing at University of South Australia in Sept. 2018, Christian plans to study a Masters in Screen and Media in 2019. The year ahead is set to be massive for our two national teams. 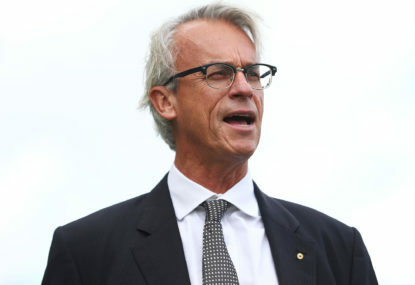 Is the A-League ready to be rid of the FFA? With the news that the New Leagues Working Group (NLWG) – consisting of representatives from state, club, PFA, and newly elected FFA board members – will have until March 2019 to submit their proposal for the A-League to become an independent entity: is the competition ready to continue without the FFA’s guidance? Will 2018-19 be the year to break the A-League attendance ‘slump’? 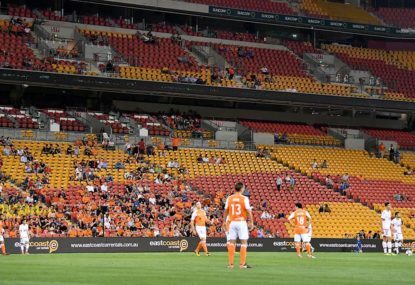 Since the highs of the 2014-15 season – with over 1.8 million in attendance over the course of that year – A-league crowds have fallen into an uninspired and steady slump. 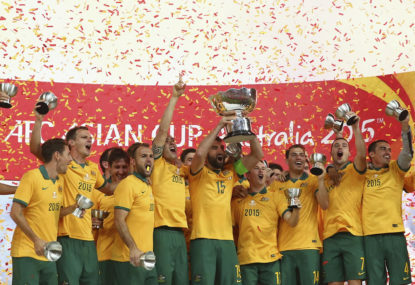 In 2015, Football Federation Australia released the Whole of Football Plan (WoFP) — a 20-year blueprint for football in this country. 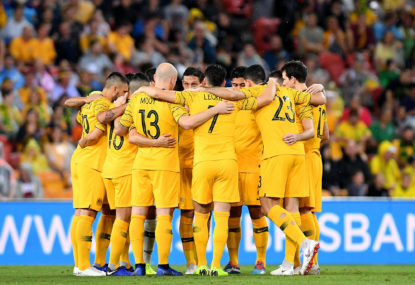 Originally proposed with the support of a number of ‘then’ high priority political figures —notably the ousted PM Malcolm Turnbull and FFA Head Steven Lowy — the bid for the 2023 World Cup could suffer from Australia’s partisan tumult. Hi Paul, thanks for your comment. Let me backtrack: yes; we had an identity, but it was never one to see us through to the next century. Our game was reliant on reactive and direct football (one of the most unsuccessful styles of football in the world), therefore, not a style that would see us consistently competing at the world stage. For one, I’m glad for Australia not just to be know as ‘the Aussie battlers’. I totally agree with your points on individuality. Football in the modern day isn’t a game played with a single formation; the formation should reflect the situation. For one, I’m an advocate of total football, but that’s another argument entirely. Hi Redondo, that’s a great question. It’s one that I don’t think I’m adequately qualified to answer, but as someone who has represented their country at international schoolboys level and played in three countries all before I was 18, I would say part of the goal would be having fewer footballers like me: players forced to go overseas due to a lack of opportunity in this country. The emphasis of the curriculum is on the importance of better quality coaching. Good coaching equates to better player outcomes. As to the other part of your question, I would say that you can’t equate individual success over the course of a year. But with better quality planning and management, I’m sure we’ll see improved short-term outcomes. 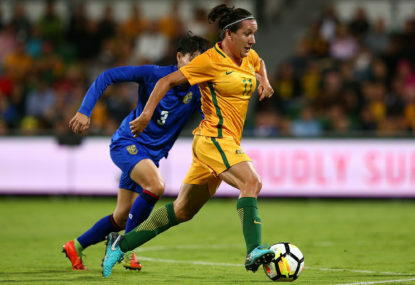 The whole endeavour is not to produce good quality juniors (although this is ofcourse a key aspect of it), but to create worldclass senior Matilda’s and Socceroos. As coaches, we’re playing a small yet important part in the overall process. Again, I must reiterate that this is just my own interpretation and opinion of the text, based on my interaction with it. Waz, what a great comment. As a coach at juniors level, I hear this story everywhere I go, and it’s one that I tell others. The fact that we give our better players the pick of the tiny pool of qualified coaches is telling of a partly philosophical problem. We may as well say we’re giving up on the rest and focusing on a select group. In saying that, at least in SA, local clubs are implementing the curriculum and helping volunteers get their accreditation. Let’s hope the ‘pick one’ and ‘throw away the other’ philosophy gets thrown out! Thanks for your input Kangas. It certainly speaks of a wider societal problem. Having a nurse for a mother and a teacher for a father, I hear where you’re coming from. That’s an interesting point: it’s been proposed that A-League teams finally implement a true top-bottom academy structure. It would certainly solve a lot of problems. Hi JB, thanks for your input. You’re not wrong—Berger was not the only one involved (thanks for mentioning!) but you’re also not entirely right. The NC remains an ongoing editing and tightening project, thus there never was and never will be a single author. There are also a number of variations of the document: the WoFP and the FCP for example. However, you’ll find that Berger remains the leading architect of the whole philosophical process. I think a future without the salary clap is a blue future. It would be the opportunity the City Group have been waiting for. I look forward to a future with more than one league in this country, but I think the first step is expanding the tiny league that we already have. I think you run into another problem, however, if the seasons are longer: the Aussie weather! Buddy, thanks for your comment. I can’t agree with you more on the point of just allowing the game to play out. Let’s watch the sport for what it is. But as fans, coaches and players, we ought to know where the future of our game is heading. To have so much uncertainty surrounding the top end of our game in this country is unsettling. Great point Waz! He’ll certainly have a lot of people to keep on side, not least of all the Greg Griffin squad who’ve already shown that with enough pressure, FFA will crack. The ousting of Lowy (not a bad thing) was a sure sign of that! Hey MF, thanks for the comment. But is that such a bad thing? To a degree, don’t you think having input from the most successful and financially viable football clubs in the country is a step in the right direction? Wow. Great passion JB! Love it! I have to agree with you MF, averages seem like a much healthier marker for measuring the overall success of the league. Just looking at the biggest performers and the largest crowds would mean we’re relying on the same team performing, year in year out, MVC—which certainly wouldn’t indicate healthy ‘growth’. JB, those are some very specific figures. Where are you gathering this data from? Thanks for the comment, Kangas. Christmas is certainly a difficult time for football and footballers alike. An undictated and independent A-League facilitated by the right expertise would be a big step forward in the right direction. The Fox/Murdoch question, however, is a whole other argument entirely that effects all aspects of the media. I don’t think we’ll shake that monkey off in the near future. Hi Mister Football, thanks for your comment. That’s an interesting argument, especially when we consider that the maximum attendance over the course of each year has steadily increased (capped in 2014/15). Should we be looking at the average across the board versus the maximum attendance overall? Having played at youth level at a League 2 outfit, I can attest to that, Fadida. We’re miles behind even the lowest tier of English football in terms of providing consistently appropriate infrastructure. And yet, on the other hand, we have access to some of the best stadiums in the Southern Hemisphere! Work that one out. I think the WSW situation is tragic, but I look forward to seeing what they can do with a ground of their own. It’s an interesting point you make about the Sydney derby. The storm certainly put a dent in some of its potential! Do you think that comes down to poor planning or just bad luck, chris? Hi Admiral, thanks for your comment. That’s a whole other beast isn’t it! It’s certainly a problem that we’re going to have to face, especially as the summers get hotter and hotter. Being an Adelaidean, Hindmarsh (Cooper’s) has always been a dealbreaker during the summer. What do you make of the fact that currently fewer people are watching the games televised, Admiral? Thanks for your view, RF. It’s more ironical than rhetorical, but I can appreciate your confusion. Hi Waz, thanks for your comment. I think you’re missing the whole of the point a bit, Waz. Given a whole appraisal (that takes into consideration national and international attention), there hasn’t really been a ‘slump’. It’s ironical, with a hint of satire. That’s a great point, Ad-O. It’s certainly a multifaceted issue. Hi Guru, cheers for the comment. I can’t say that I agree, but I can appreciate your point. The politics shouldn’t be a factor; as I said, let’s leave the politics to the side so we can focus on football. But the fact remains that it’s not just our Matildas on display for the world to see: it’s our country as a whole. Hi Lionheart, cheers for the comment. As I mentioned, the current government (lead by Malcolm Turnbull at the time) posited $4 million toward the WC bid. The point wasn’t to question whether our government would support the bid, it was to say that regardless of which side gets behind the bid, the current situation hurts our chances. We need a focused and united front minus the bickering. A bid of this size doesn’t occur in a bubble: it cannot function without public, tax payer funded support. In this respect, one sports bid doesn’t belong solely to that sport, it belongs to all of us from top to bottom.